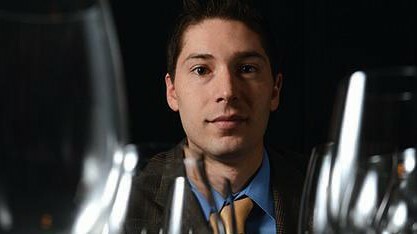 Ben Nelson, wine director at Splash Seafood Bar & Grill, hosts monthly wine tastings. Iowa Restaurant Association’s Culinary Affair, April 3: Enjoy seven courses from seven different chefs, including George Formaro (Centro et al. ), George Migliero (G. Migs), Lynn Pritchard (Table 128), Mike and Lisa LaValle (Embassy Club and Trellis), and others. The event, a benefit for the ProStart program, which helps high school students gain skills in the food service industry, is held at the sky-high Des Moines Embassy Club at the Ruan Center. BTW: I attended last year’s event at Embassy Club West and loved every bite. The event starts at 6:30 p.m.; $125 per person. 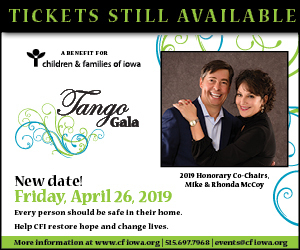 Find details and get tickets at restaurantiowa.com. Taste wine with a certified sommelier: On the last Tuesday of every month, Splash Seafood Bar & Grill’s wine director, Ben Nelson, hosts his Wine Education Series. Each month focuses on a specific region, pairing wines with light appetizers created by Splash chef Dominic Ianarelli. Upcoming regions to be covered include Piedmont in March, Burgundy in April and Germany/Austria in May. P.S. : I always love the classy but low-key way Nelson talks about wine. He probably knows immensely more than the rest of us, but he’ll never make a point of pointing that out. More details at splash-seafood.com. Vom Fass Fourth Birthday Celebration: From March 30 to April 2, this olive oil, vinegar and spirits emporium will be celebrating four years at the Shops of Roosevelt in Des Moines, offering samples of recipes that highlight a different focus each day. The April 1 “Boozy Sundaes” especially caught my eye (think raspberry sorbet drizzled with Vom Fass Hazelnut Liqueur). For more information, head to the website.